When it comes to spiked hot chocolate, recipes with liquor may come to mind. However, did you know that you can make a delicious cup of alcohol-infused hot chocolate using beer? While stouts work best in the following recipes, thanks to their roasted malt flavor profiles that taste of coffee or dark chocolate, you can experiment with other types of dark beer as well. 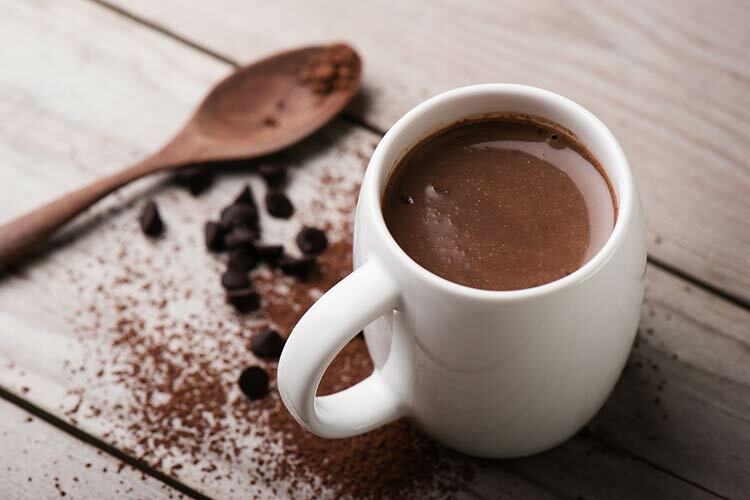 Here are three delectable ways to serve up decadent hot chocolates that blend your love of beer with this timeless cold-weather beverage. Savor a rich, hot beverage with this mouthwatering stout hot chocolate recipe from Floating Kitchen. Combining chocolate stout beer with milk, cocoa powder, dark chocolate shavings, sugar and vanilla ice cream, this recipe is sure to satisfy your sweet tooth on any cold winter day. Straight from The Gourmet Kitchen cookbook, this spiked hot cocoa recipe calls for sugar, heavy cream, whole milk, bittersweet chocolate, vanilla extract and bourbon barrel-aged stout. The result is a piping-hot alcoholic beverage that makes the perfect dessert. This hot chocolate with beer recipe from The Hungry Hedgehog is easy to make and only requires five simple ingredients. If you have a stout or another kind of dark beer, half and half, sugar, chocolate chips and cocoa powder on hand, you could even whip up a decadent, steaming serving right now. Top off your mug with a dollop of whipped cream and chocolate shavings for an extra touch of sweetness. At Columbia Distributing, we offer an extensive selection of stouts from domestic, import and craft beer brands. To learn more about what style of beer will work best for your hot chocolate recipe or other creative concoction, contact us today.